You are at:Home»Advertise with us! 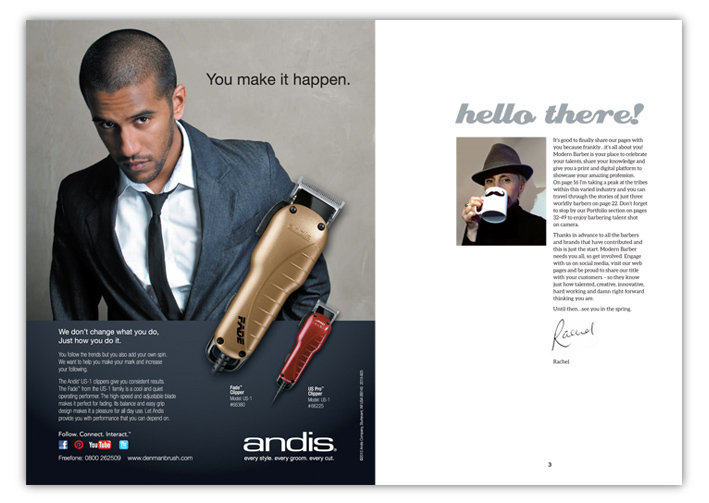 To see your brand in our pages and on our website and connect with the UK barbering industry then get in touch. We’ve got lots of innovative ways to get your message across. Call us on 01295 533755 or email rachel@modernbarber.co.uk. Calling all PR professionals! If you have clients in men’s hairdressing, barbering, grooming, professional barbering equipment etc then let’s hear from you. Email rachel@modernbarber.co.uk to stay on our radar for editorial opportunities.